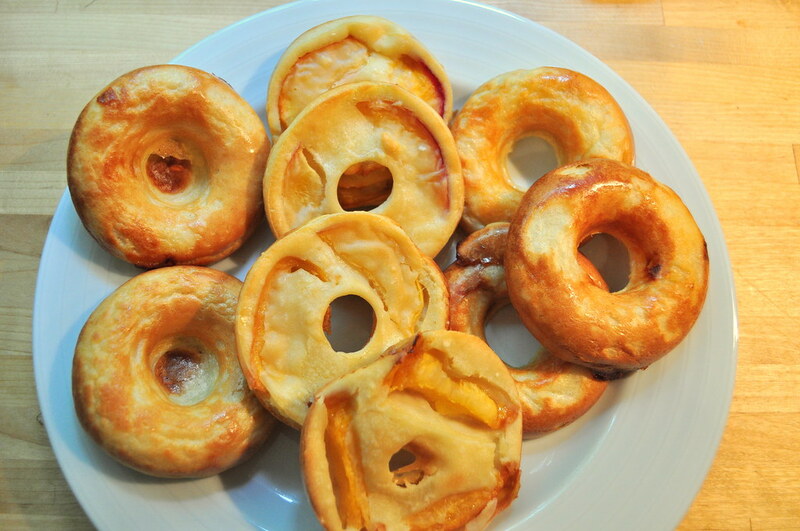 baking (blueberry) peach ring things. it’s that time of year again when fresh ontario peaches are in the markets. yum! today with the cooler temperatures i was inspired to get my baking groove on. so, we got busy and a little messy with baking THESE today, kinda. i got the idea from tiffanie over at cornerblog. i was too lazy to find the actual recipe as suggested from the joy of cooking, so i used a finnish crepe/ lettu dough instead, one that i have winged countless times from memory as i’ve been making lettuja for so long, recipe for them found HERE. 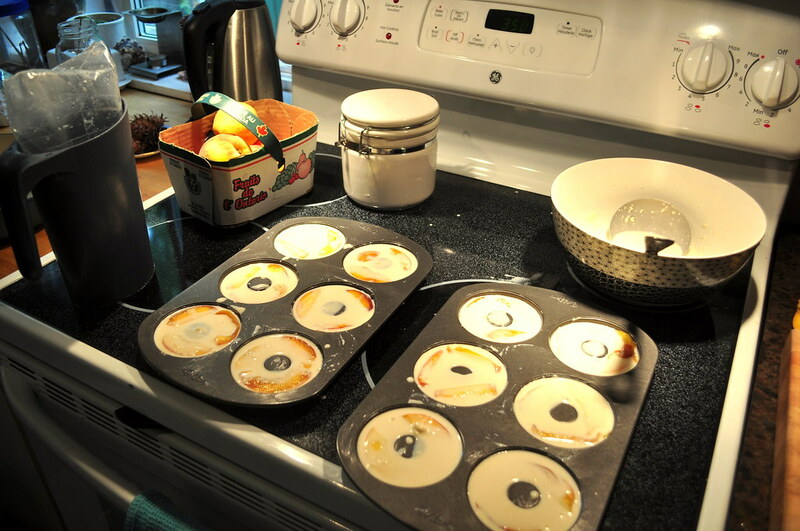 i bought my donut pans at a local bulk store a while back and have been getting my ice makin’ groove on during these intense heat waves. lotsa lemons and blueberries! yum! 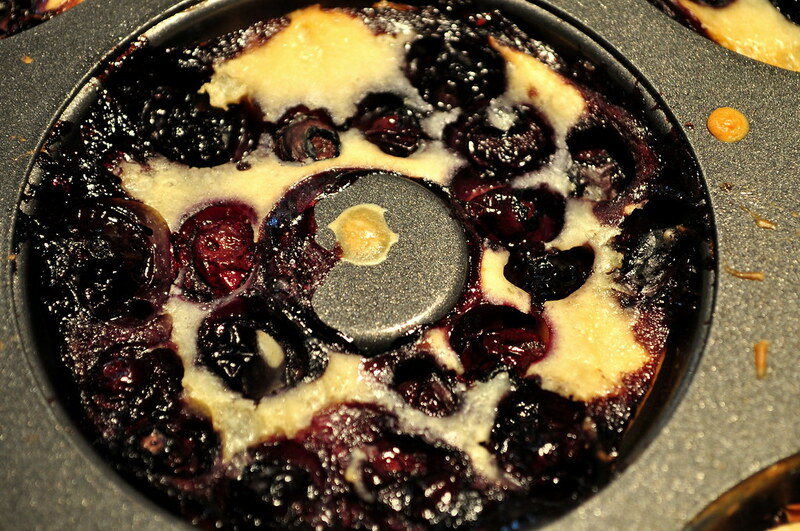 and/ or as many blueberries as you think look yummy! i filled each ring with the dough. 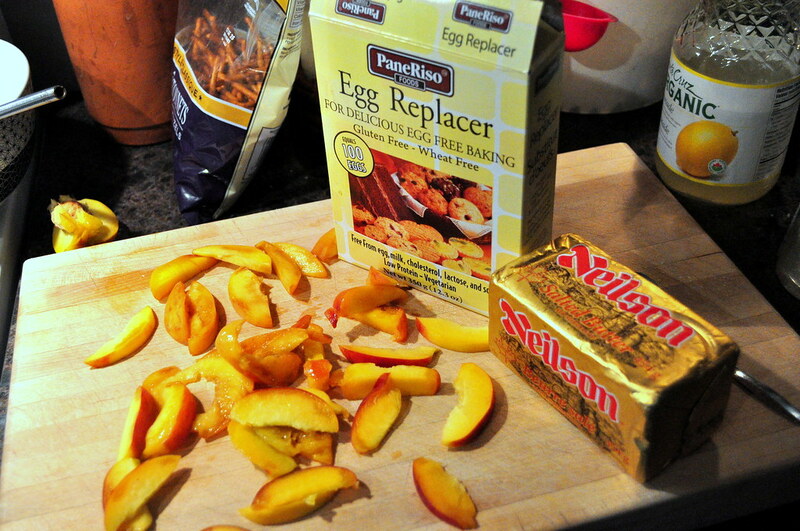 then, i cut the peaches into fairly thing slices and placed 2-3 pieces into each ring. i had to do some pretty serious peach sampling, as they were screaming to be eaten. oh boy! 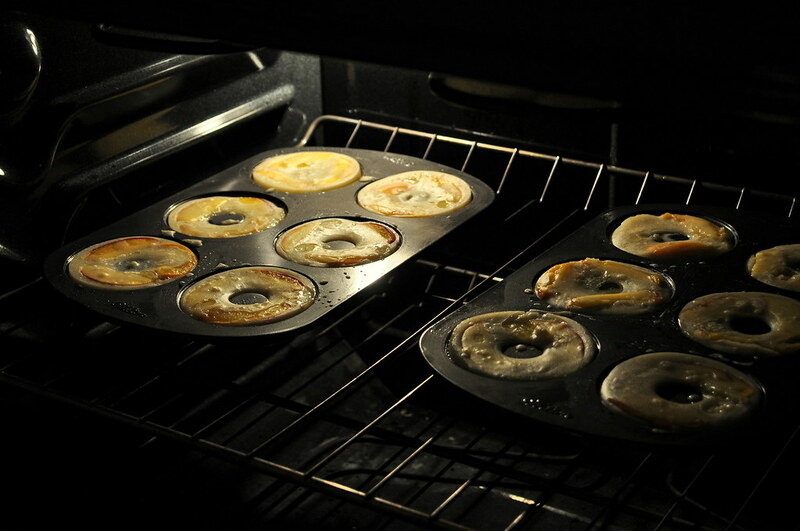 i preheated the oven to 350F and once ready baked the ring things for about 20-30minutes. a slightly hotter oven would have been better, but this way they cooked pretty evenly. i will keep perfecting this recipe : it’s a keeper! well, they are a humongous hit! both of the the boys, yes lion included, have been sneaking up onto the counter to try and get more peach rings! it’s finally raining. i hope it rains all night. we have not had a decent rain fall in a very long time, not only is everyone’s grass yellow, but i wonder how all of the wild animals are faring.